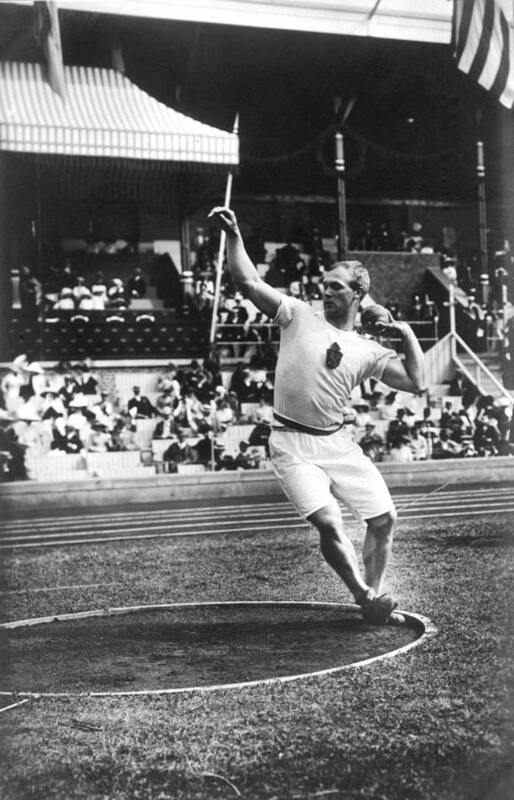 Winner of four Olympic medals in athletics strength events, Elmer Niklander was one of Finland’s most popular sports heroes for more than 15 years. He would probably have won even more medals if the First World War had not intervened. In 1911 Niklander made an unofficial world record in discus throw, 44.01 metres. At the Stockholm Olympic Games of 1912 Niklander was nursing an ankle injury and had to contend with silver in both hands discus competition behind his younger compatriot Armas Taipale. He also took bronze in both hands shot put. Eight years later in Antwerp Niklander had his revenge: after taking silver in shot put he beat Taipale in the discus throw final, thus finally becoming an Olympic champion. Niklander retired from athletics after taking part in his fourth Olympic Games in Paris 1924.